The gastric or stomach ulcer is the most common form, which can be diagnosed by an endoscope or by a positive response to acid-blocking medications. But horse ulcers can also occur in the small intestine or even in the hind gut. These usually will not be found by the methods discussed above. If your horse has inflammation in his gut caused by disruption in the levels of beneficial bacteria in his gut, he may also test negative for ulcers but still have a pain in his gut. Since the symptoms of ulcers anywhere in the gut can be similar, you can more easily locate where your horse was having the problem so you can target your treatment. Knowing your horse’s Five Element Temperament Type can be a huge shortcut, since each type tends to form ulcers or have inflammation in specific areas of the gut. 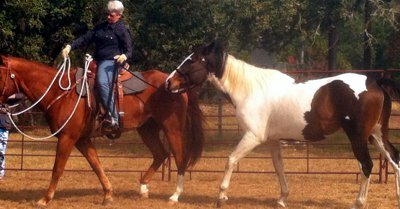 Earth and Wood Horses: These types are often the ones with an actual stomach ulcer. The pre- and probiotic formula APA is very helpful for ulcer prevention. Stomach Soother seems to be a great choice for Earth and Wood horses who already have ulcers. Metal and Water Horses: These horses seem to have more issues with hind gut ulcers, which are difficult to diagnose with traditional methods. These types do well with APA and the probiotic bifidus. The product Succeed can also be a huge help for treating ulcers for these horses. Remember that some types will show more pain relating to the inflammation in their gut. Fire and Water horses are the most dramatic about telling you that “something is wrong.” The Wood and Earth temperament types will complain but still work in pain. The Metal horse is the most stoic. He may not show any symptoms other than tightness through the ribcage but still have major inflammation in his hind gut. Should you worry about horse ulcers? Yes, especially if your horse is in work or training. It is a safe bet to say that any performance horse is dealing with some level of digestive inflammation and needs daily pre- and probiotic support appropriate to his type.